There’s no doubt about it – colour has the power to transform a room! The right (or wrong) hue can impact the shape and size of a space, and affect the light in a room, creating different looks and feelings. When you’re giving your home a new spring coat, reviving a tired lounge for the new season, or wanting to bring a bedroom back to life – it can be tempting to go with a colour that’s ‘on trend’. Each year, colours, hues, tones and shades will all have their moment – and it can be great to be guided by what’s hot and what’s not. But the foundation of your colour choice should ALWAYS be what mood are you trying to create? What feeling do you want to capture in each room, and how can colour bring this alive in the most beautiful way? 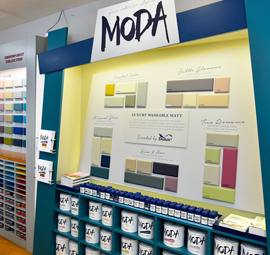 It can sound intimidating we know – but the good news is, equip yourself with some basic information about shades and you’ll soon be painting with flying colours! Red heightens energy in a room and ‘pumps adrenaline’. In a living space it can stir-up excitement – and used in a dining room it can draw people together and stimulate conversation. It also makes a great strong, first impression in a foyer or entry hall. It’s thought to be too stimulating for bedrooms – unless you are normally only in the room after dark, in which case it can create a rich, sophisticated feel. This colour communicates happiness and sunshine! In kitchens, dining rooms and bathrooms, it is uplifting and energising – and it can also feel welcoming in a hall while ‘opening up’ the space. 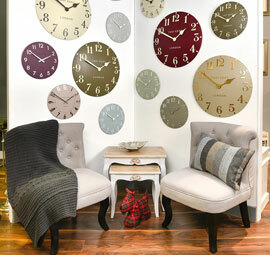 In large amounts though, the colour can be frustrating – so perhaps don’t use it as your main colour scheme. It is an excellent choice for kitchens, dining rooms and bathrooms, where it is energizing and uplifting. In halls, entries and small spaces, yellow can feel expansive and welcoming. Blue is considered to be calming, serene and relaxing and colour psychology says it can bring down blood pressure and slow heart rate. This makes it a great colour for bedrooms and bathrooms. Be sure to go for softer shades as dark blue can have an opposite effect – even evoking feelings of sadness. This is considered to be the most restful colour for the eye – blending the refreshing feel of blue with the cheer and happiness of yellow. In the kitchen, green can help cool things down – while it can encourage relaxation and unwinding in a lounge or living room. A rich, luxurious and elegant colour, purple is often associated with creativity. When used as a secondary colour it gives a colour scheme depth and a sense of drama – while lighter shades, such as lilac, have the same restful feel as blue. This energetic colour evokes excitement and enthusiasm – so it is great for an exercise room. In ancient cultures, orange was believed to heal the lungs and increase energy levels. Black, white, grey and brown are good flexible colours to which colour can be added to give more life… or taken away for a calmer feel. Classic black is always a great accent colour that never goes out of style. Of course, most important of all when selecting paint colour, is to make sure your choice reflects the tastes, personalities and characteristics of those who live in the home. This is when a house truly starts to feel like a home! 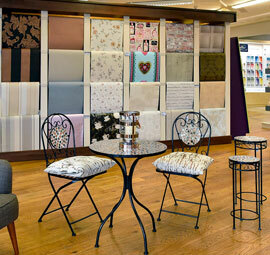 And remember, we’re here to help and advise, so be sure to discuss your needs with one of our consultants in store. Happy colouring! Light colours are expansive and airy, making rooms seem larger and brighter. Dark colours are sophisticated and warm; they give large rooms a more intimate appearance.